While some people blog for fun, many others choose to blog about their brand and associated things within their niche to sustain their business. If used correctly, blogging can prove an effective tool – that help make your business grow. When it comes to creating a blog, WordPress is the first name that strike our mind, because of the immense popularity and flexibility it offers to writers (and publishers) in creating and managing a blog. Is WordPress Blog Enough to Drive Traffic? Undoubtedly, WordPress is the best platform for creating a blog. Besides, it even provides several tools needed for creating a blog. But, in today’s highly competitive web world, you need to put a lot more efforts than just writing a simple blog to make your presence felt in the blogosphere. Writing a blog and publishing it on a popular blogging platform such as WordPress is not the end of the road. Rather, it is just the starting point in your journey to expand your business reach. Not to mention, you will have to tell people about the existence of your blog to drive traffic to it. The best way to increase traffic on your WordPress blog, is to encourage more people to share your blog. Well, you can easily find share buttons usually at the bottom of your site (i.e. in the footer area) or at the top of your website, or in the sidebar section. But, a highly effective and proven strategy that can attract traffic to your blog is to add quote boxes containing tweetable content for your viewers. This can be achieved with the help of “Click to Tweet” plugin. This post will help you provide a brief overview of this plugin and ways to use it. This a free to use plugin that can be downloaded from WordPress official Plugins directory. It helps in creating good-looking tweet boxes that can be added anywhere within your posts. What’s more? Click to Tweet plugin make use of “custom messages”, as well as, “pullquotes” that are added in a blog post for highlighting the content and sharing it on your Twitter account. Log in into your WordPress website admin area. You just need to click on the “Install Now” button as you can see in the image above. And then, activate this plugin. In this above screen, you’ll need to enter your Twitter account’s username – devoid of ‘@’ symbol – in the textbox next to “your Twitter Handle” tab. Embed the ‘Click to Tweet’ plugin shortcode in your post/page, in which you want to display a quote box – that lets readers to tweet. Once the ‘Click to Tweet’ button gets added into your posts, make sure to hit the “Save” button to implement the changes you made so far. Lastly, do not forget to preview your post. 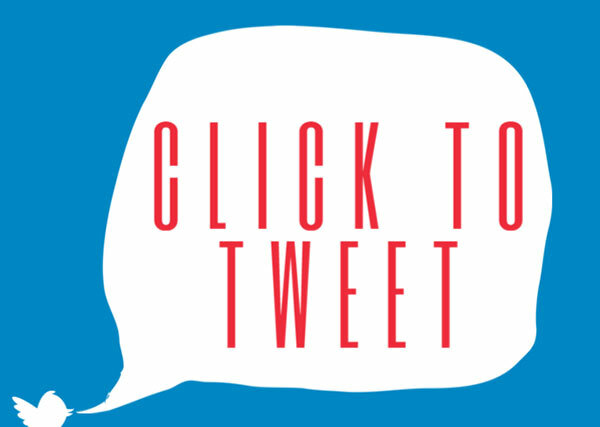 This will help you know whether your ‘click to Tweet’ box works in an accurate manner or not. How You Can Customizing Your Tweet Box? The new generation users prefer to view designs that catches their fancy. And so, at some point of time, you’ll have to customize the look and feel of your tweet box as well to attract readers attention. For this, all you’ve to do is to make a few tweaks in your plugin’s stylesheet – that can be found in “/wp-content/plugins/click-to-tweet-by-todaymade/assets/css/styles.css” path. However, bear in mind that you’ll be required to use an FTP client (such as Filezilla or any other) to access the plugin’s directory containing your stylesheet. When using an FTP client, simply open your directory within a text editor like Notepad or some other based on your preference. Note: Remember not to make any edits to your plugin core files directly, or else you’ll lose the changes you’ve made since they get overwritten once the plugin is updated. To deal with such a situation, it is advised that you must make the required changes in a child theme’s stylsheet. Remember that to makes any edits in your plugin’s stylesheet, you will require at least basic CSS knowledge. But, if you cannot code, then it is better to bring a professional on board who can fulfill your project needs. So, that’s it for now! Hope that going through this post will help you understand the best tactic to increase your WordPress blog traffic using the “click to tweet boxes”.